A look at the above picture would also clarify why aquiline is used for noses. 1. Of, relating to, or having the characteristics of an eagle. 2. Curved or hooked like an eagle’s beak: an aquiline nose. 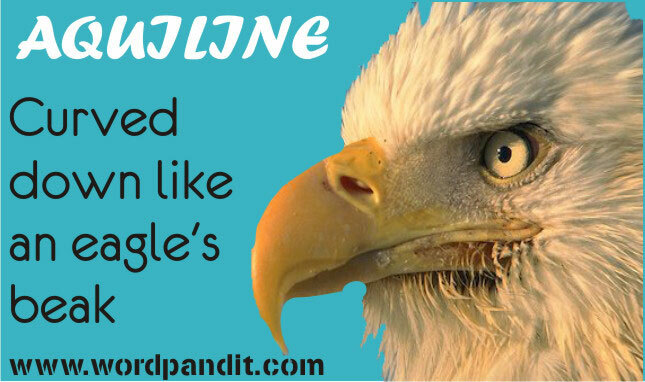 The image of the eagle should be good enough to learn this word, isn’t it?